Roman Zhurbin was born in Moscow, Russia and came to the United States at 13. 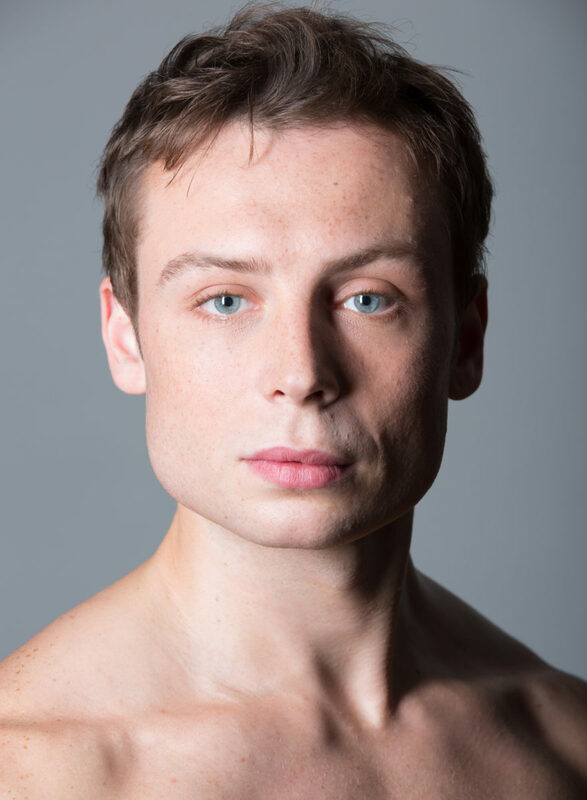 He began his ballet training at 15 at LaGuardia High School under the direction of Michelle Mathesius, Joey Smith, Michele Benash and Eddie Shelman. During his high school years Zhurbin also trained at Studio Maestro with Francois Perron, Debra Wingert and Marina Stavitskaya. In 2003, he attended American Ballet Theatre’s Summer Intensive Program and was asked to join ABT’s Studio Company. Zhurbin joined American Ballet Theatre as an apprentice in April 2004 and became a member of the corps de ballet in April 2005. He was promoted to Soloist in 2014. His roles with the Company include one of the Three Ivans in Aurora’s Wedding, the High Brahmin in La Bayadère, Gavrilyich in The Bright Stream, Step-Sister in Cinderella, Dr. Coppélius in Coppélia, the Pasha in Le Corsaire, Don Quixote in Don Quixote, Lysander in The Dream, the Elegy Pas de Deux from With a Chance of Rain, the Father in Fall River Legend, Widow Simone in La Fille mal gardée, Kaschei in Alexei Ratmansky’s Firebird, the Duke in Gaîté Parisienne, Hilarion and the Duke in Giselle, Tsar Dodon and General Polkan in The Golden Cockerel, Death in The Green Table, The Man She Must Marry in Jardin aux Lilas, Armand’s Father in Lady of the Camellias, Monsieur GM and the Jailer in Manon, the Baron in The Merry Widow, Yslaev in A Month in the Country, The Moor in The Moor’s Pavane, Drosselmeyer in Kevin McKenzie’s The Nutcracker, Drosselmeyer, Arabian Man and the Russian Dance in Alexei Ratmansky’s The Nutcracker, Prince Gremin in Onegin, the Moor and the Chief Coachman in Petrouchka, Friend of the Family in Pillar of Fire, Father in Prodigal Son, the Head Wrangler in Rodeo, Tybalt, Lord Capulet and Lord Montague in Romeo and Juliet, King Florestan XIV in Ratmansky’s The Sleeping Beauty, von Rothbart, the Spanish Dance and the Lead Czardas in Swan Lake, the Chef and Doctor in Whipped Cream and roles in Aftereffect, Baker’s Dozen, The Brahms-Haydn Variations, Brief Fling, Company B, Dark Elegies, Désir, The Garden of Villandry, The Leaves Are Fading and One of Three. Zhurbin created the role of the Fiance’s Father in On the Dnieper, Cassandre in Alexei Ratmansky’s Harlequinade, the Indian Prince in Ratmansky’s The Sleeping Beauty, Alonso in The Tempest, Boris Wutki in Whipped Cream and a featured role in Everything Doesn’t Happen at Once. Mr. Zhurbin’s performances with American Ballet Theatre are sponsored by Mark Casey and Carrie Gaiser Casey.